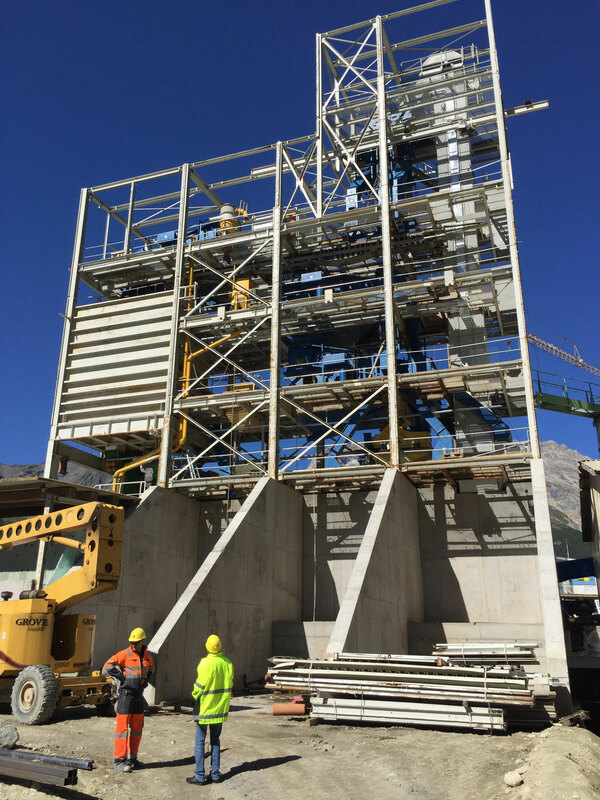 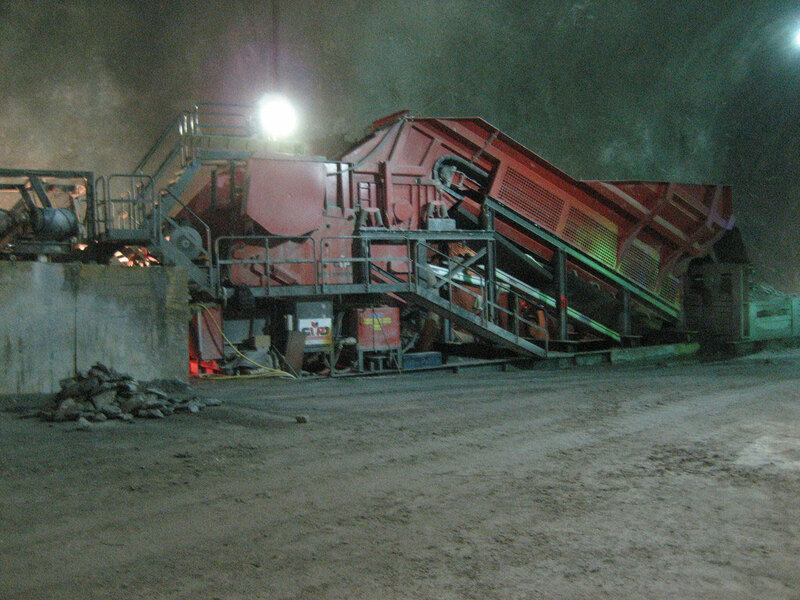 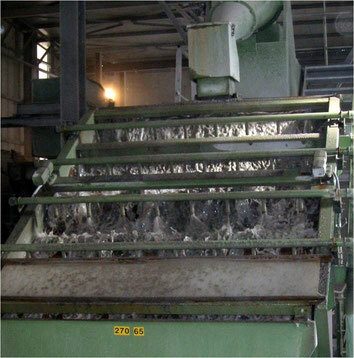 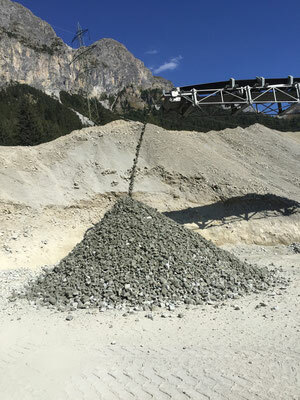 Raw material processing already starts in the driving area, where the material excavated is precrushed in order to reach the necessary 250 mm to be evacuated with conveyor belts. 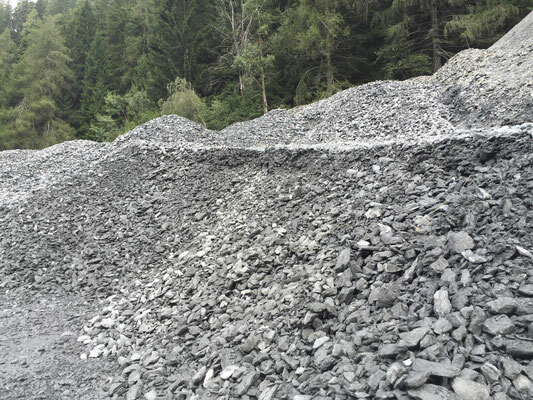 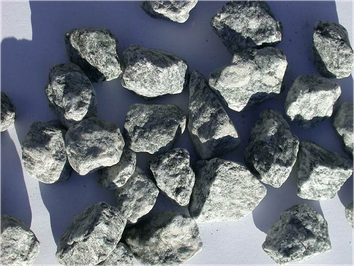 The raw material is transformed into sand and gravel by means of different crusher systems before being washed and screened into their respective size groups. The crushed sand muss be prepared with an appropriate infrastructure (cyclone). 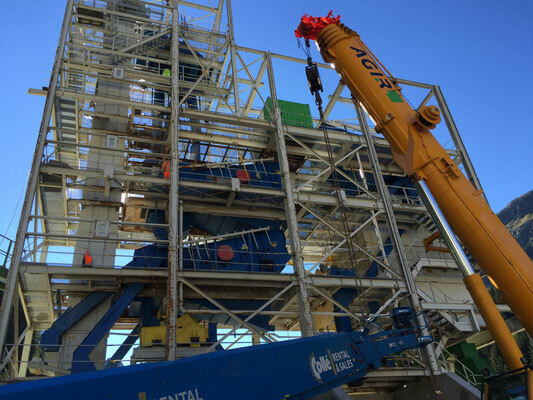 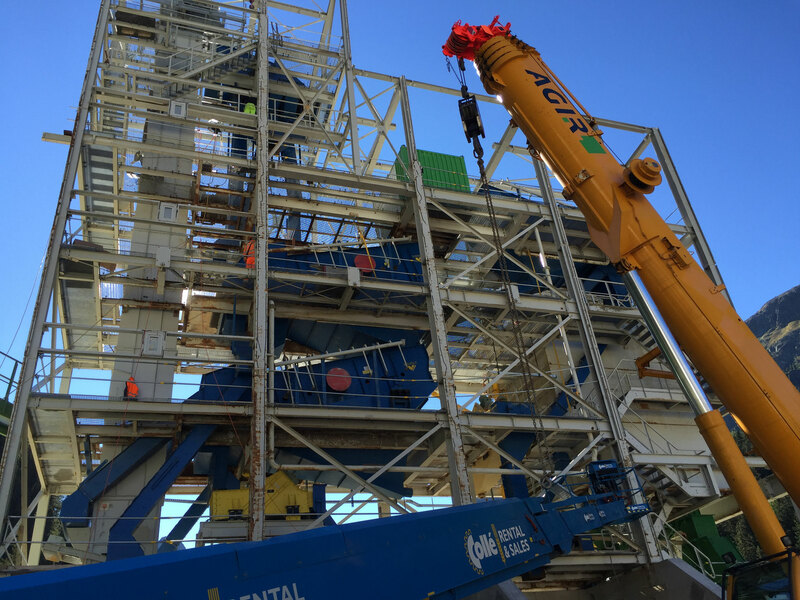 B+ G is the perfect consulting firm to assist developpers and gravel plant operators with processing technologies and infrastructures. 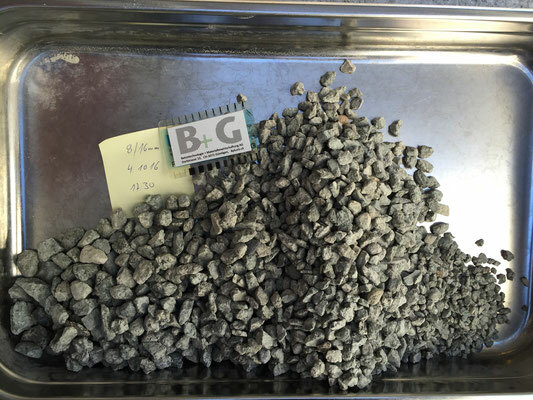 The quantity of mica in crushed sand is a significant parameter, when processing cristaline excavated material (Alptransit Gothard; Sedrun). 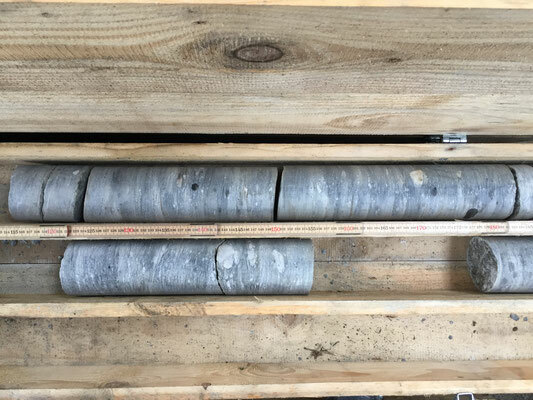 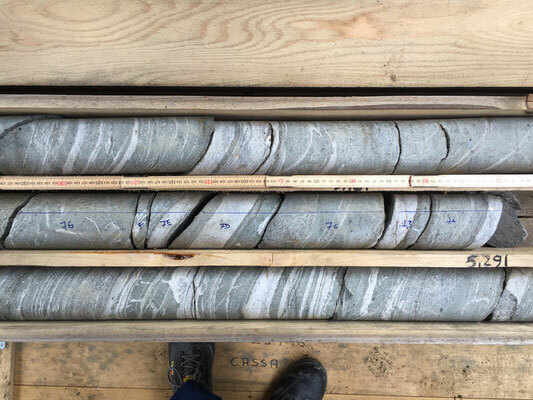 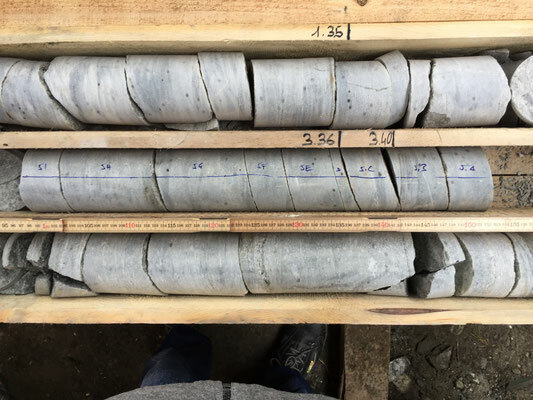 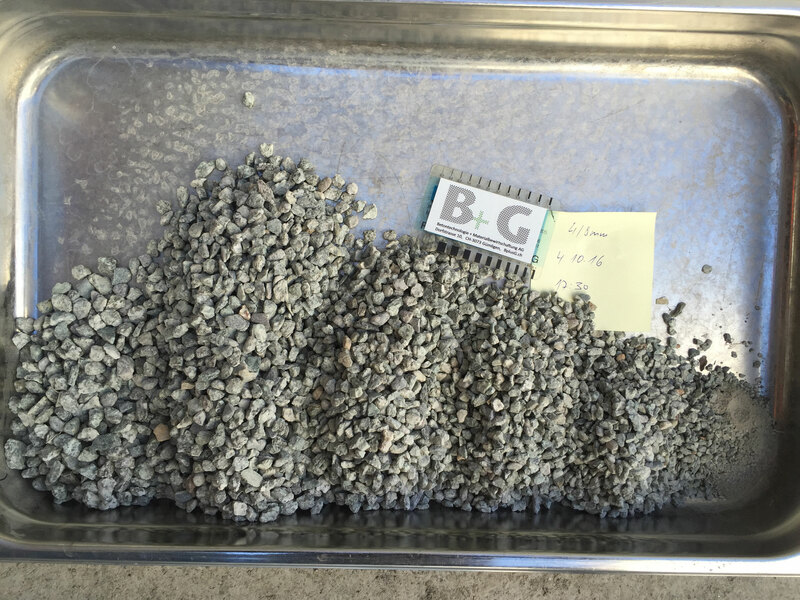 Free phyllosilicates have a negative influence on the fresh concrete (increase the quantity of water and/ or of additives needed) and the hardened concrete (decrease of the mechanical strength and increase of the water conductivity) properties. 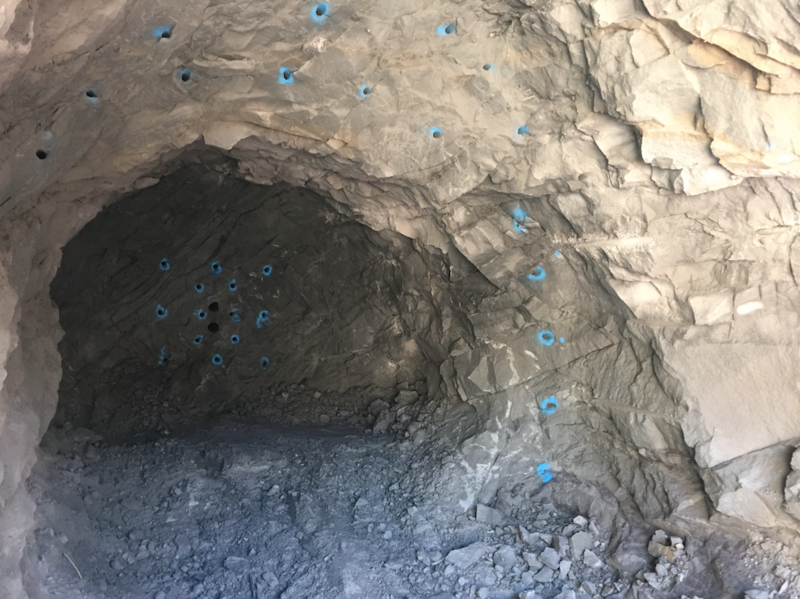 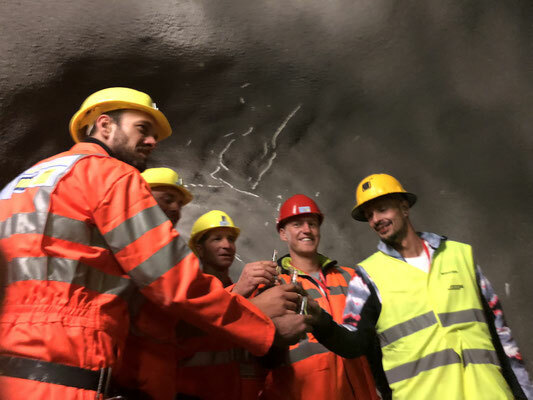 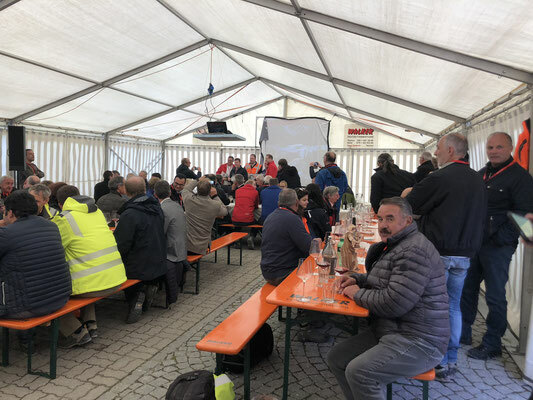 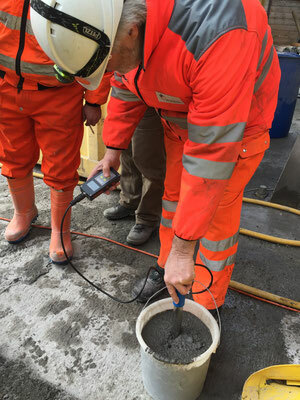 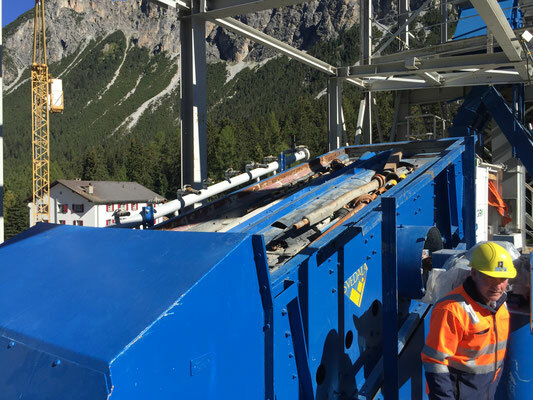 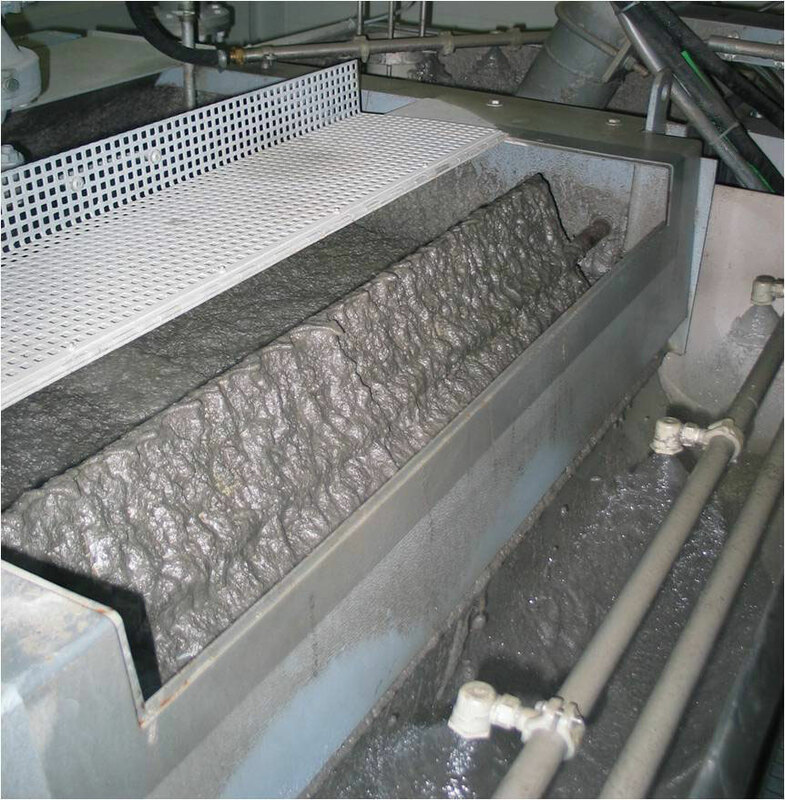 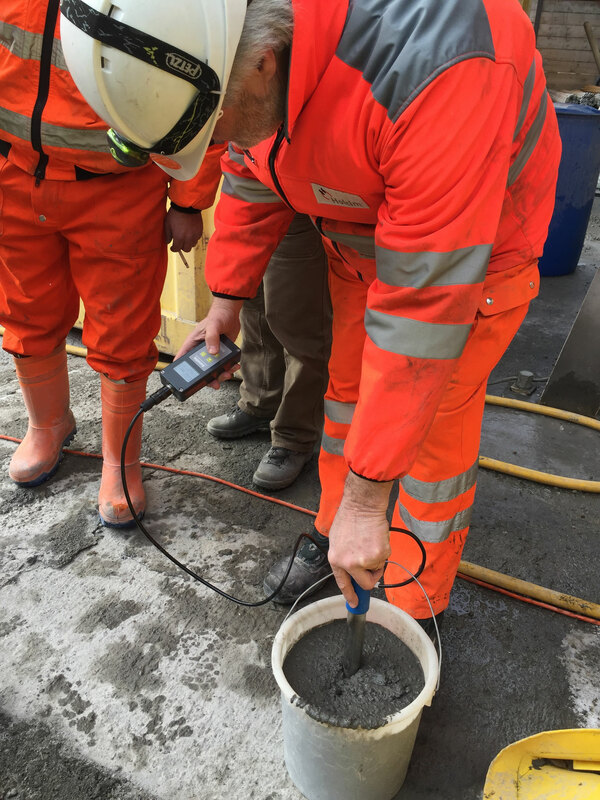 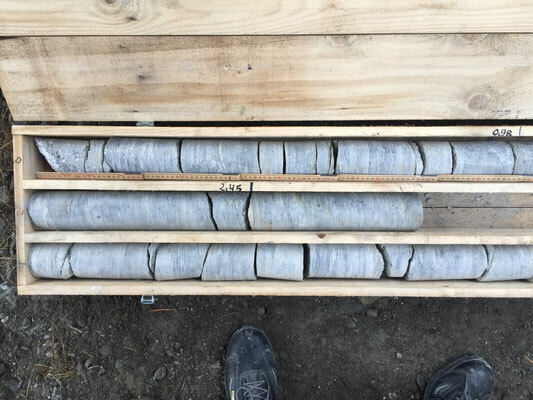 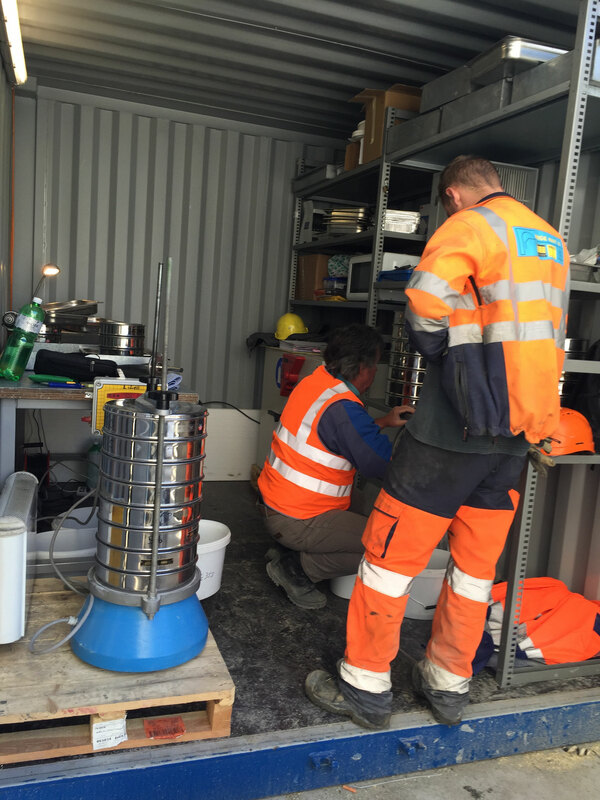 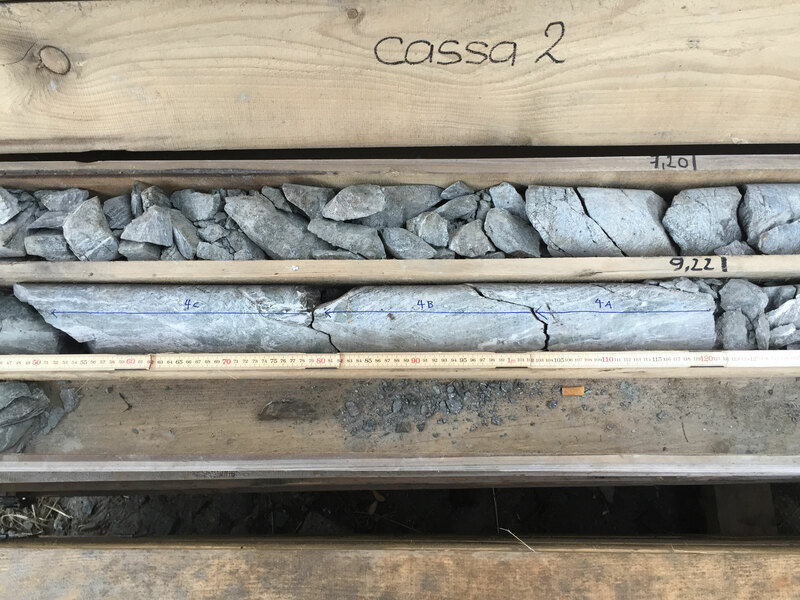 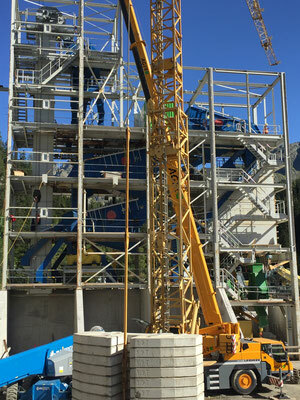 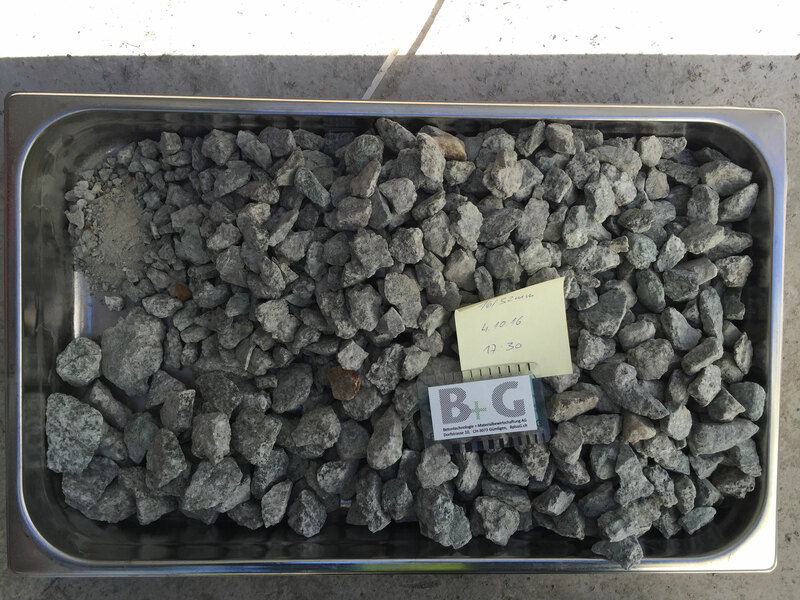 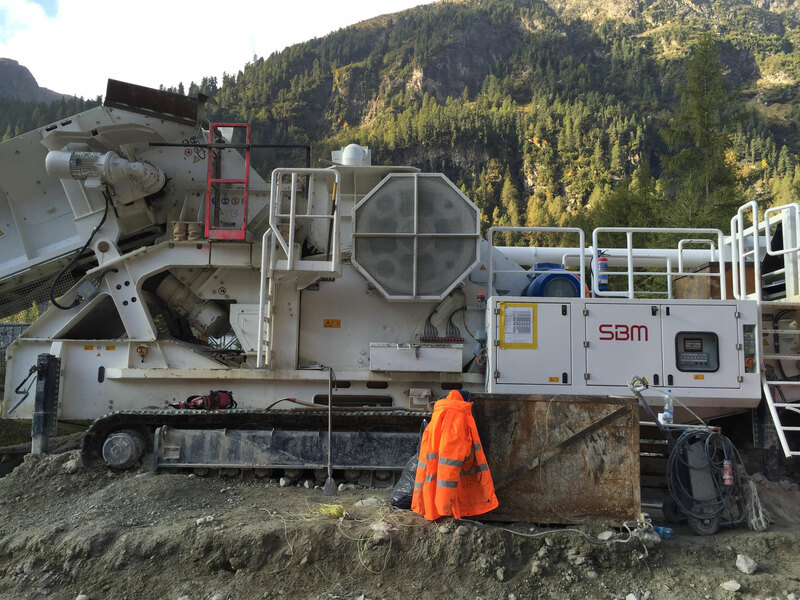 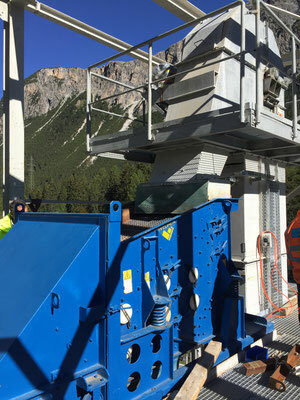 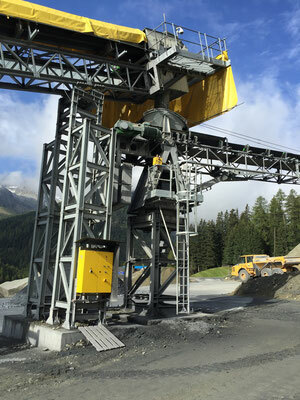 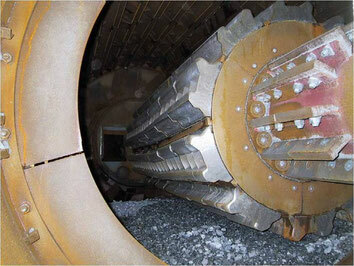 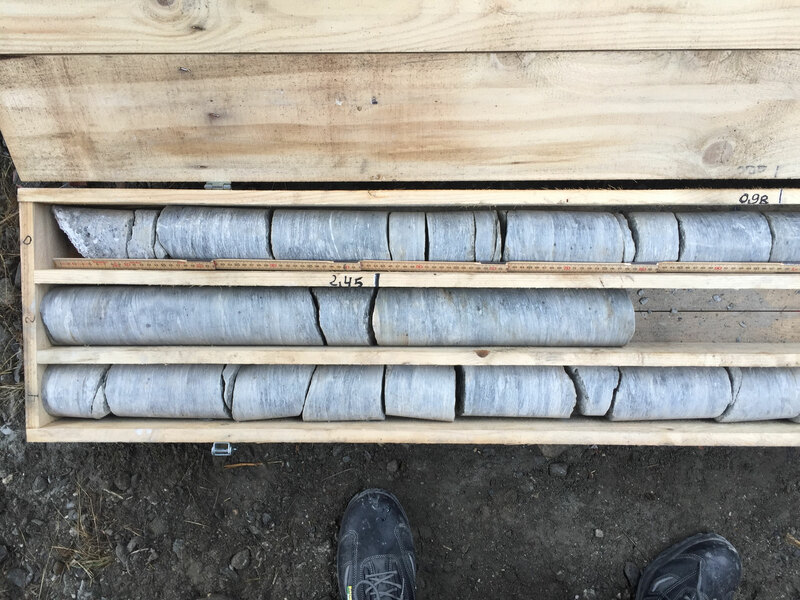 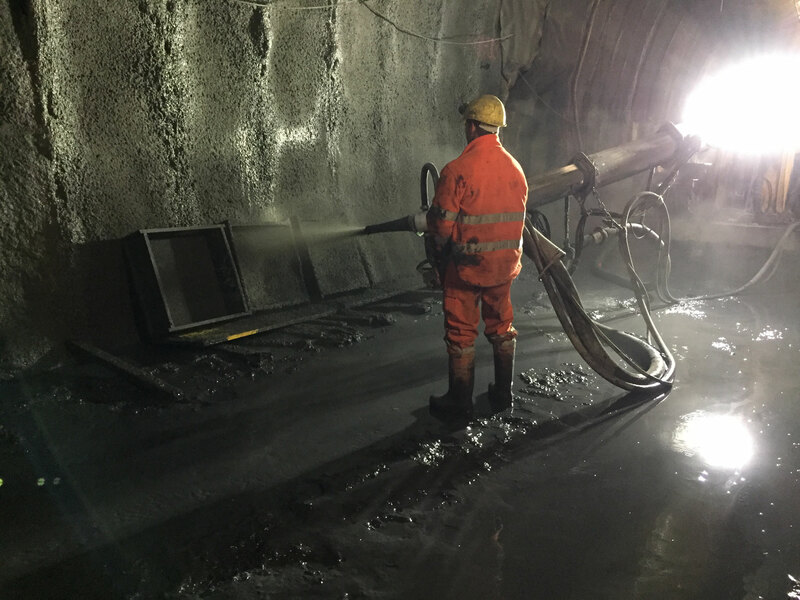 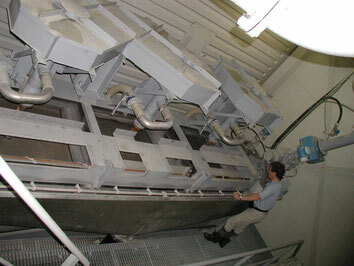 On behalf of AlpTransit Gotthard, B+ G developped a special and unique process, based on the flottation technique, to eliminate mica from the crushed sand. 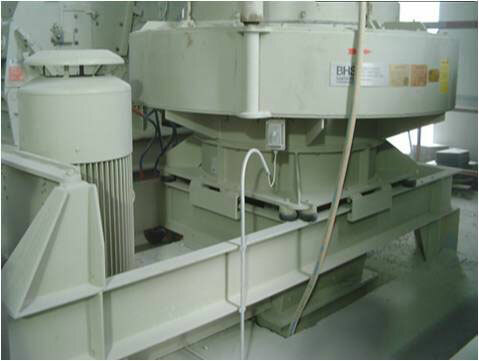 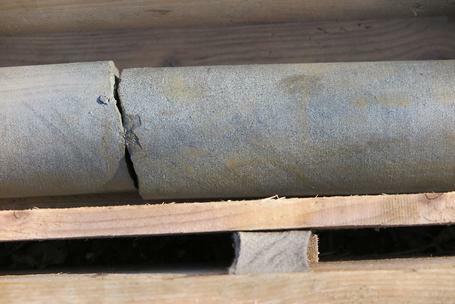 The crushed sand (0/ 1 mm) was washed with water and chemicals (collectors) in an agitated and ventilated basin (flottation cell). 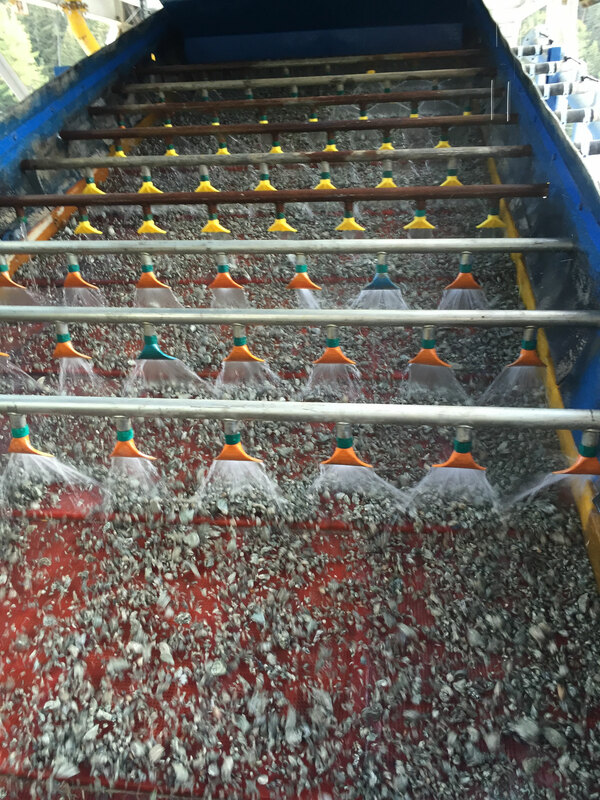 The phyllosilicates adhered on the collectors and segregated to the surface of the water (foam). This foam was then evacuated with the overflow (Flotat). 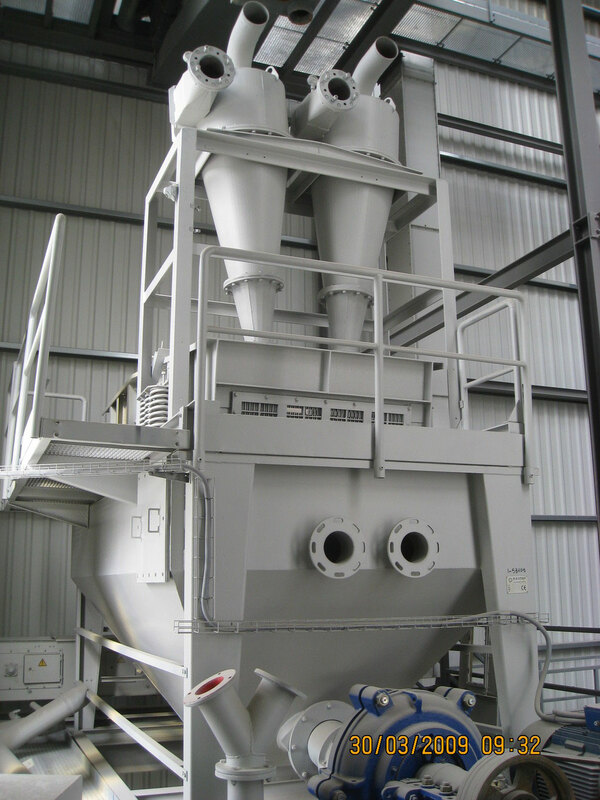 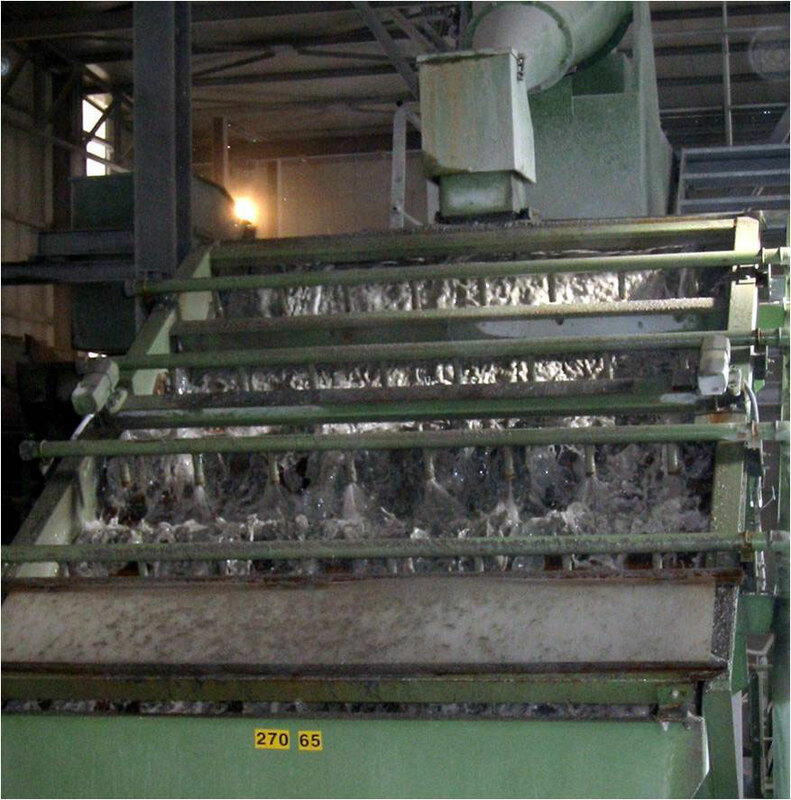 This flottation technology permitted to eliminate more than 50% of the phyllosilicates in the 0/ 1 mm fraction of the crushed sand thus increasing its quality. A good sand quality is a pre-condition for good fresh and hardened concrete. 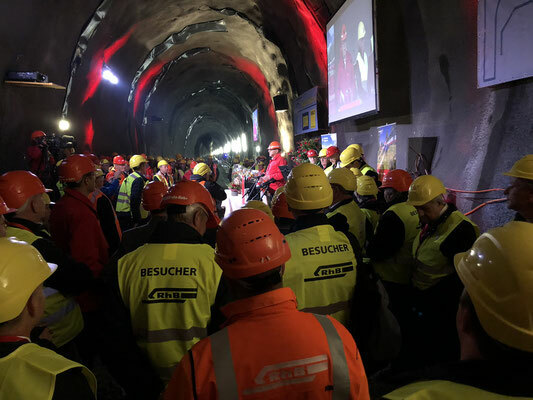 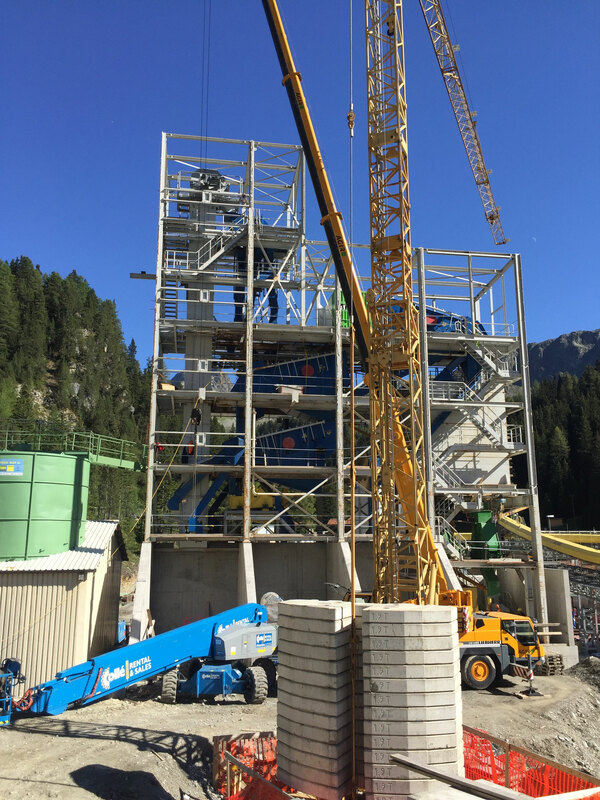 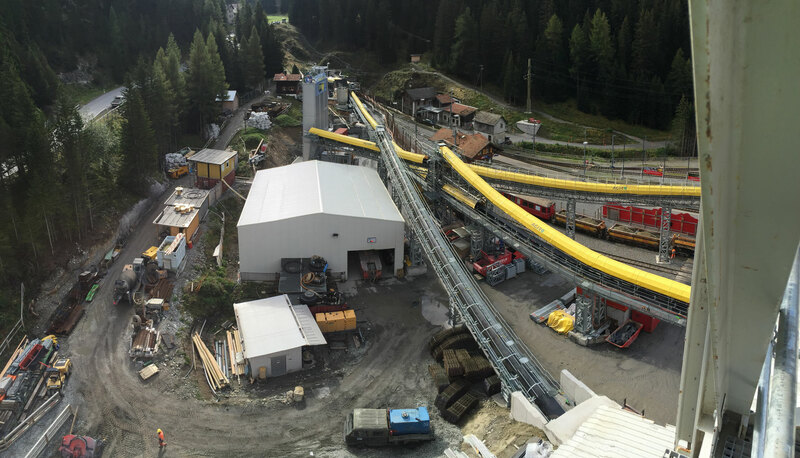 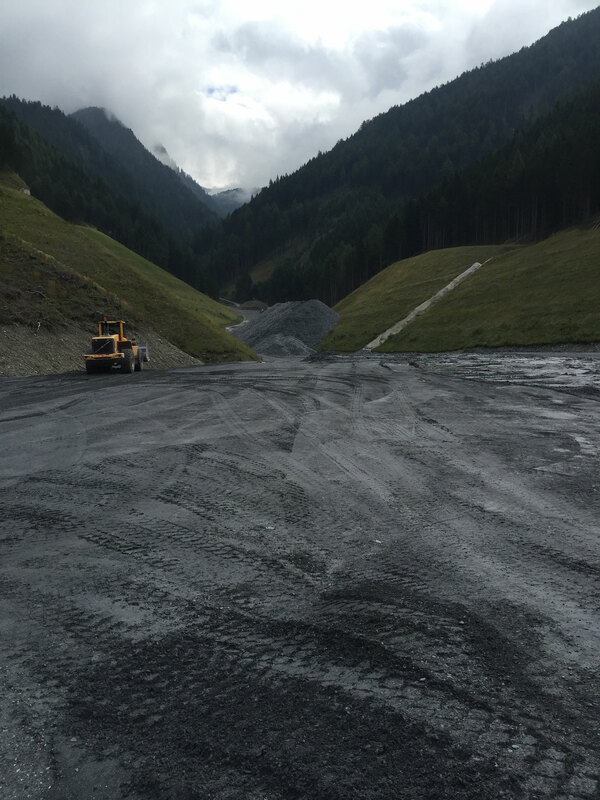 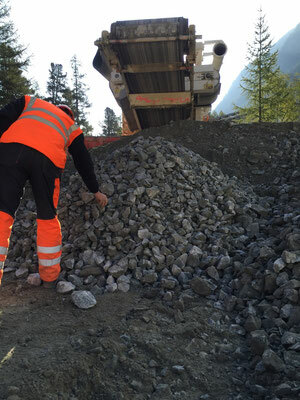 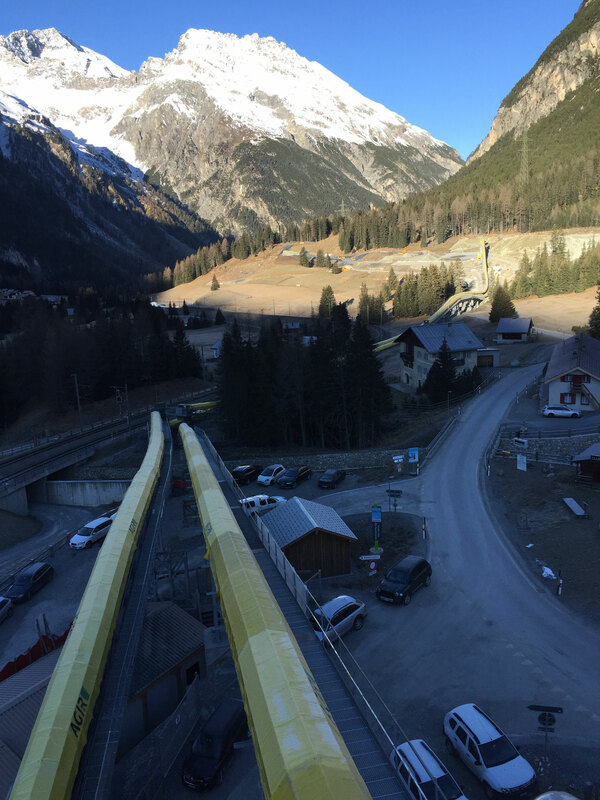 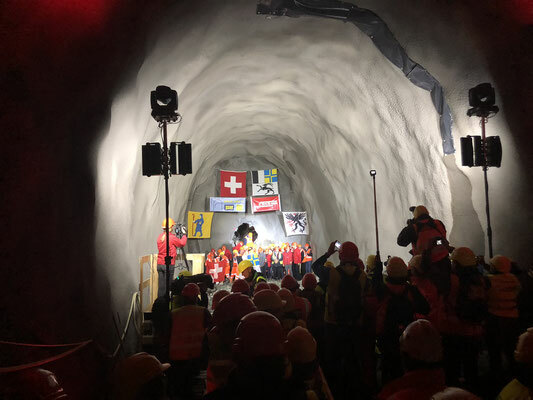 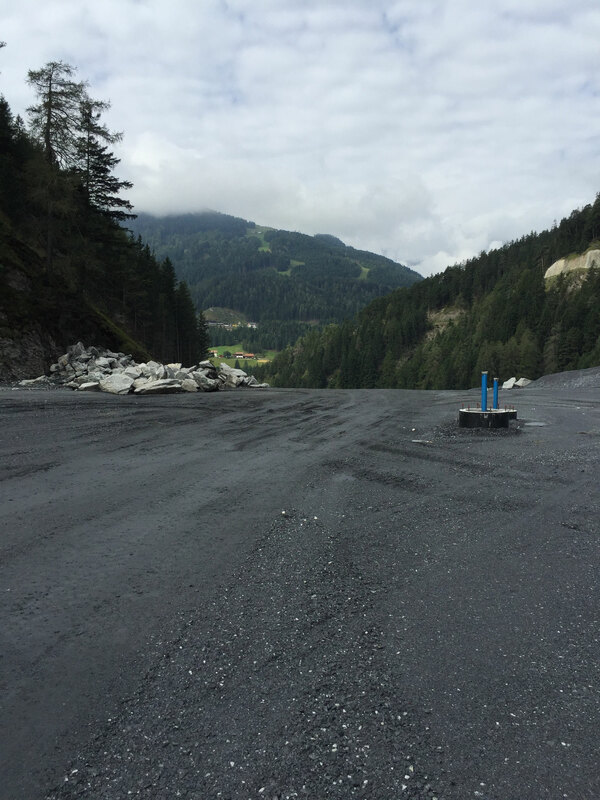 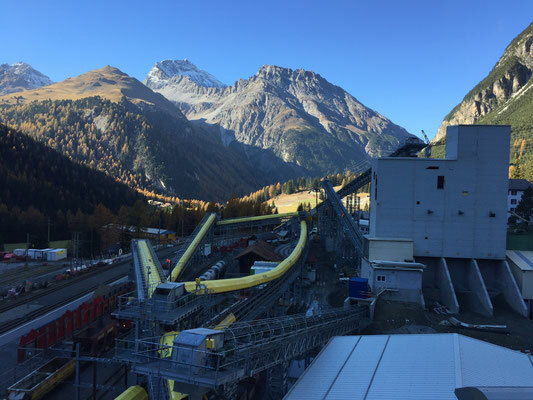 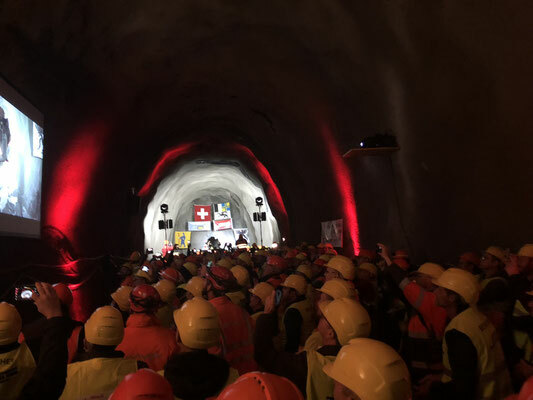 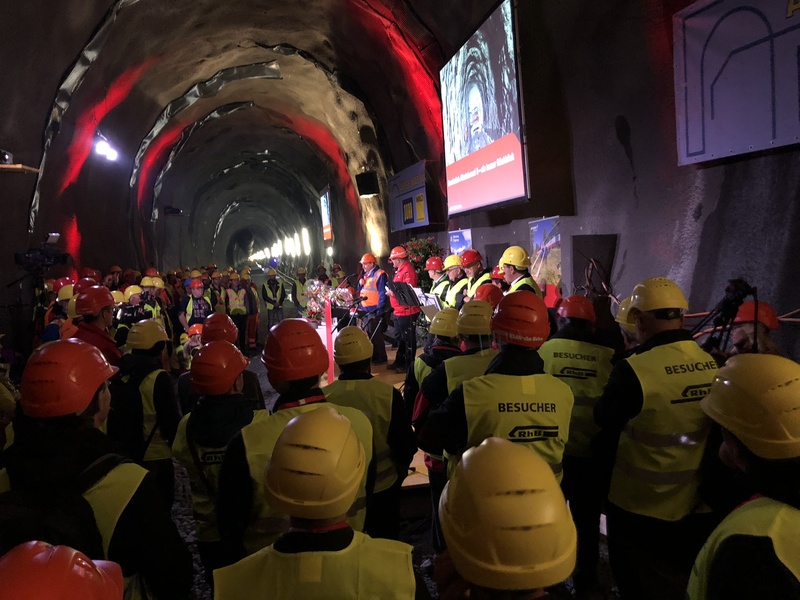 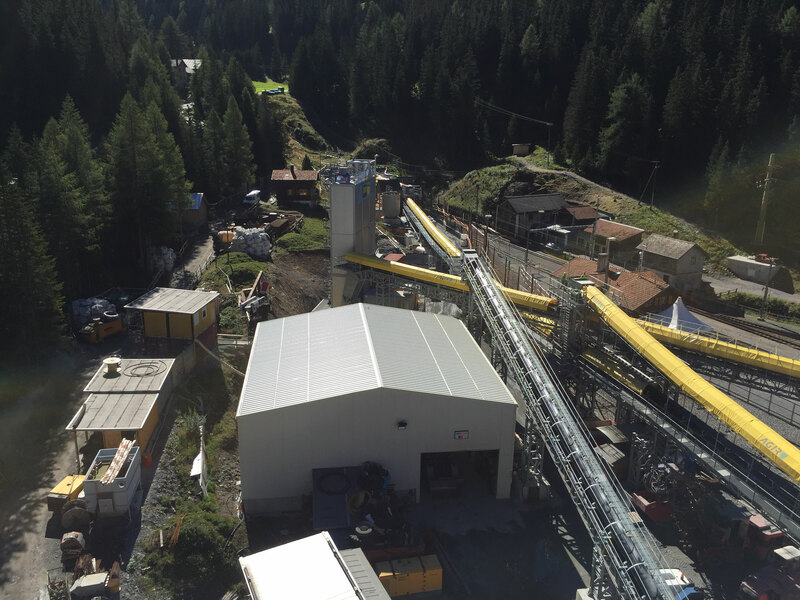 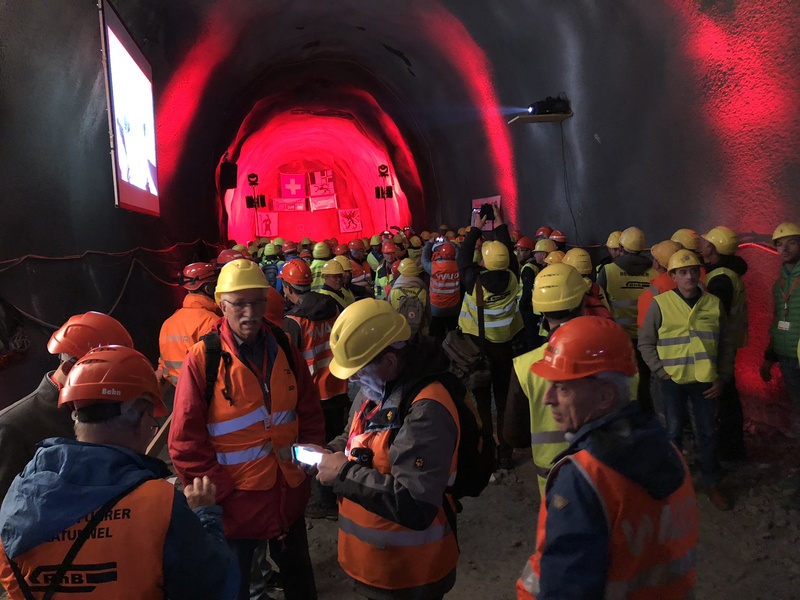 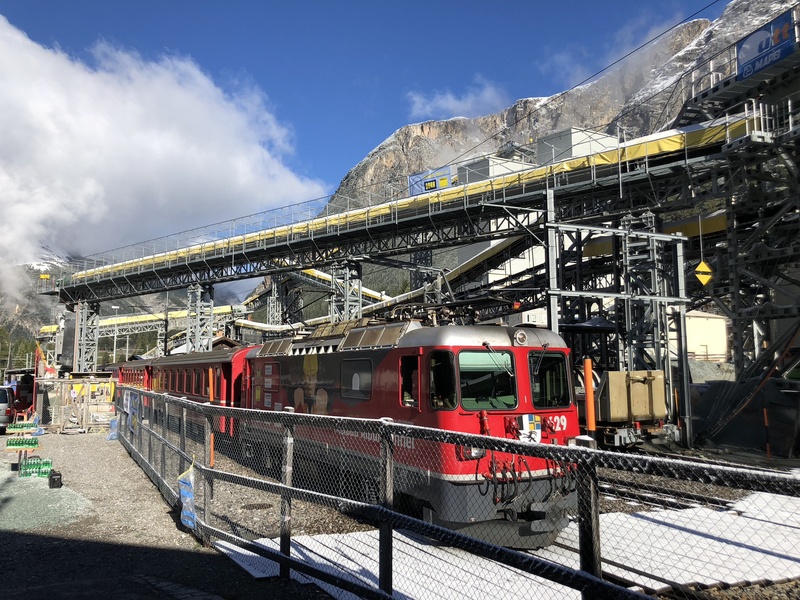 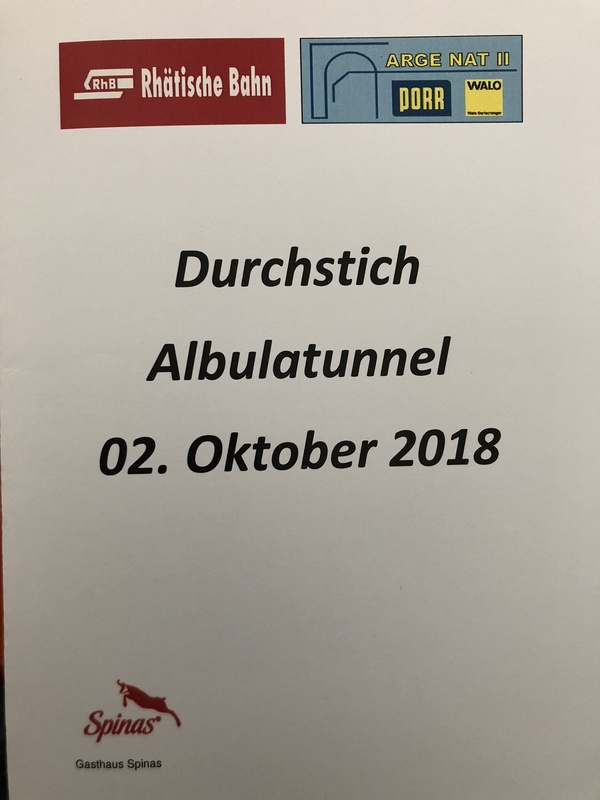 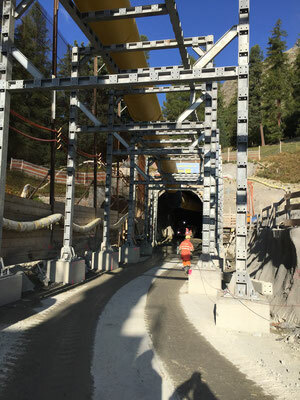 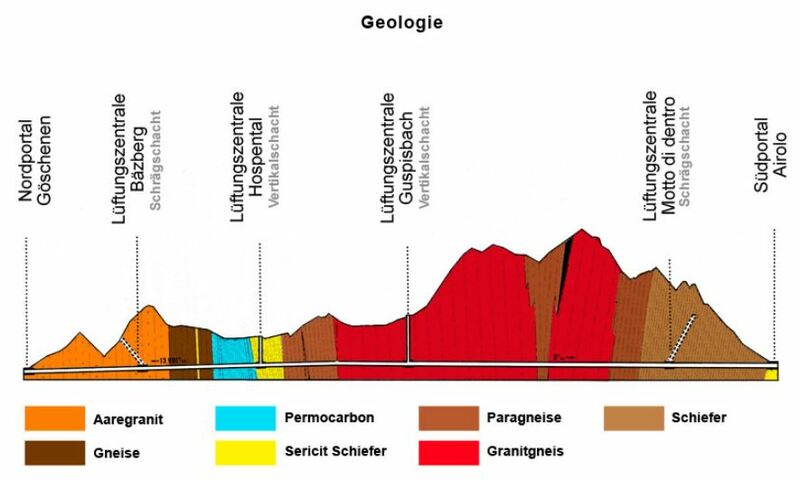 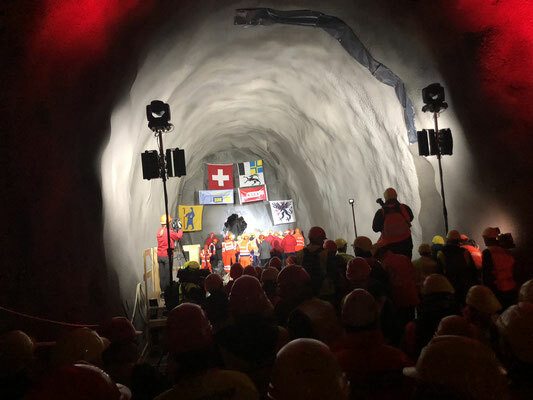 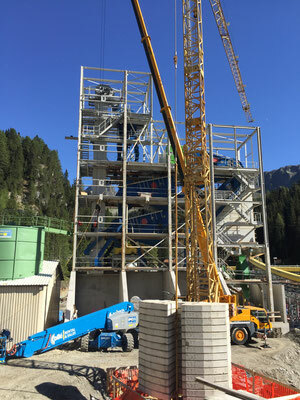 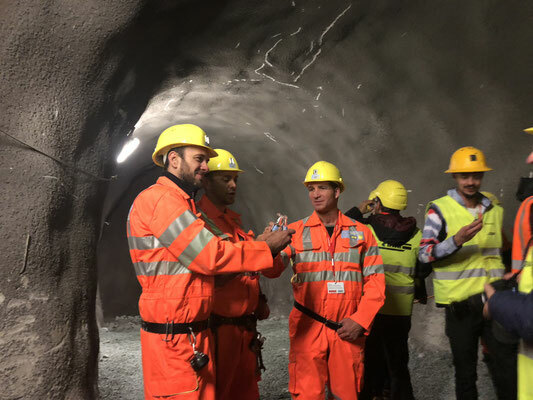 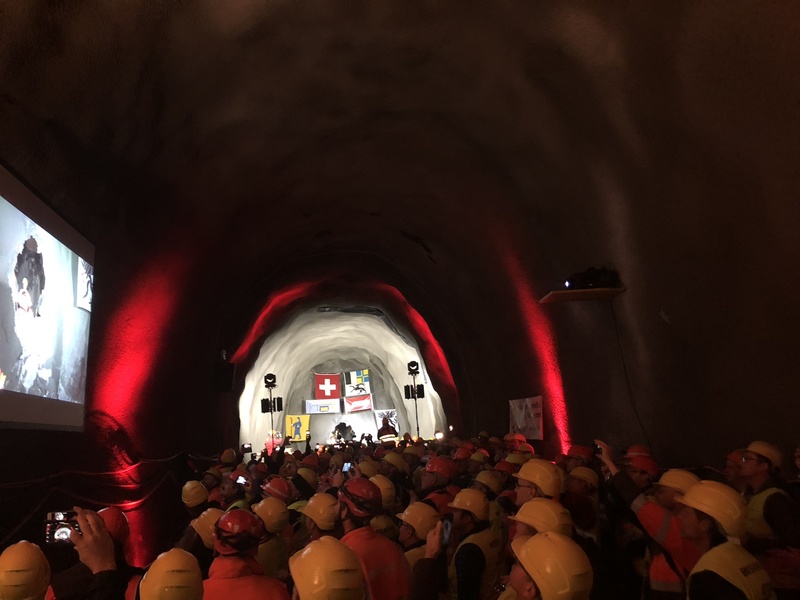 In Switzerland, AlpTransit Gotthard project in 1994 was the first construction site which integrated a raw material recycling and management process to produce concrete aggregates. 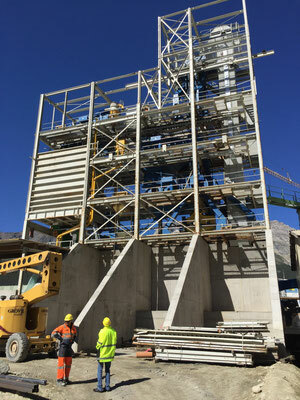 At first, this concrete production type encountered many reserves. Today, it is recognized and accepted worldwide. To simplify concrete production and processing, aggregates were rounded in a hurricane rounding infrastructure. Nowadays, the generation of new superplasticizers enables producing good quality fresh and hardened concretes even with large quantities of mica in the sand and/ or using flatty and crushed aggregates.